Ducati has always been known for taking the path less traveled when it comes to their MotoGP bikes. Their willingness to experiment and innovate – and sometimes, pick up old solutions which were dropped in the past – has been put into overdrive since Gigi Dall’Igna took over as head of Ducati Corse, the Bologna factory's racing department. The appearance of a torque arm on the Ducati GP19s at the Jerez test in November last year is another example of exactly this kind of thinking from Dall'Igna. An idea which was once common practice in racing motorcycles in the 1970s and early 1980s, but disappeared shortly afterward. Why had Ducati reinstated the idea again? What were they trying to achieve? 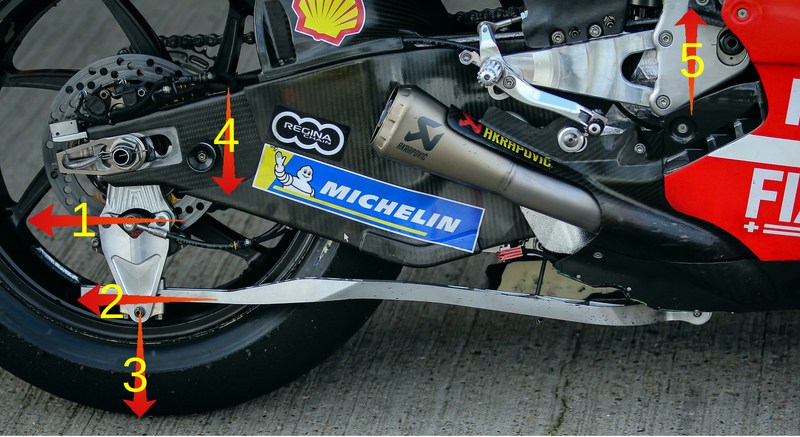 When we spoke to riders who used the torque arm at the Jerez test, they remained deliberately vague. 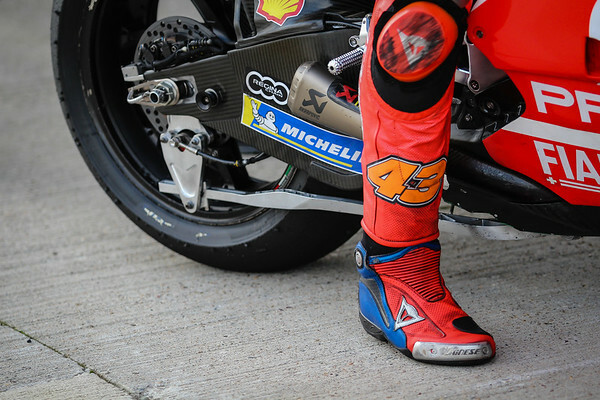 "For sure there were some positives and negatives to it, and like I said, I think we've got to back check it," Pramac Ducati's Jack Miller said. "It seemed to be a little more stable grabbing the rear brake, and stuff like that. But it's going to take some time to really develop it, because at the moment, it's in its very primitive stages." Newly promoted factory Ducati rider Danilo Petrucci was similarly ambiguous. The torque arm was an improvement, he admitted, but he was loath to go into detail. "It was more or less an improvement, but there were very, very small differences," he said. "I think Gigi didn’t like to change a lot of things. He always wants to try new parts to be sure if it works or not but it always changes very little not for evolution but you aim to go on the limit to feel the difference." I discussed this question with Peter Bom, world championship winning crew chief to Danny Kent and Stefan Bradl. Naturally, a person with Bom's technical background knew what those torque arms used to be used for, and a clear idea of what Ducati is trying to achieve by bringing them back again for 2019. "Designers used this construction in the past because it helped to prevent the rear wheel bouncing or stamping," Bom explained. "That could sometimes happen with no warning if the rider used the rear brake when braking hard in a straight line." Better suspension eventually fixed that problem. "Developments in rear suspension helped to solve that problem," Bom continued. "The top out spring was a big step forward in that respect." The top out spring is a small spring used to dampen the impact when a shock or front forks reach maximum extension. Ducati's rationale for bringing back the torque arm was different, Peter Bom reasoned. "The result of the torque arm is that it opens up the rear suspension. But it is not so much the case that the rear tire is being pushed into the asphalt with greater force. It's more that the rear of the bike is being pushed upward. That's something you don't really want when you are braking in a straight line." Ducati looking for a solution to their numero uno problem. When I read " during turn in & mid corner " ..." Benefit on corner exit ...accelerating while leaned over for a long time " I realized that is exactly what the duck needs. As David said Phillip island is Ducati's kryptonite. This may be part of the solution, if so I think it will be better integrated by fp1 at Qatar. This is a development of the rear brake techniques that Dovizioso has used for some time & JL99 learned in order to ride around the problems or "character" of the desmoseidici. Don't know how much Casey used the rear brake in his magic, somewhat at least. If Ducati can retain the strong points & improve their weaknesses team red should still be in the game. I'd love to see Ducati win the championship, not confident that Dovi is the rider to do it. If only AD04 could refrain from crashing for a season. Then Andrea might get there. I may have to wait until Pecco Bagnaia wins it for borgo panigale. Is the off season over yet ? Next, forkless front suspensions, I hope. I look forward to the day someone will make a racebike with a hub centre steering system, like the Motoinno, from Australia, that seems to not have the lack of ground clearance and lack of feel associated with the Bimota and Vyrus, for example. It seems they're planning on building a Moto2 chassis and wildcard a few times, to prove the bike is competitive. The rear wheel stays in contact with the ground when braking, because the load is transferred straight to the bike's centre of gravity which, according to Alan Cathcart and other testers, allows the rider to brake "suicidally late" and it still turns much tighter than a conventional bike. It will take someone with the courage to pursue that technology, and that kind of courage is something sorely lacking in the paddock, unfortunately. The spec tire basically killed funny front ends. Separating braking forces from turning forces means that less braking force gets to the front tire, meaning less load, and therefore less heat into the front tire. Hard to make it work. I do hope they try, though. The data they show on their site points to a big difference in performance. Maybe that will translate to a small advantage with the spec tire. In their tests they never managed to get the front tire to misbehave. the limit was the rear tire, as would be expected. The bike also leans less than the standard ones, which keeps more rubber on the ground at all times. If only I had a spare AU$ 250,000 lying around.